When Falun Gong was banned in China in 1999, tens of millions of practitioners from all walks of life were practicing it. In this article, we highlight the stories of three professors and how they have kept their faith during the 19-year-long persecution. Ms. Cao Shufen, a professor at Beijing Capital Normal University, started practicing Falun Gong in July 1994. Two months later, she no longer needed her strong (+3.0) reading glasses. Her vision improved to 20/13 in her left eye and 20/16 in her right eye—she could see even better than her granddaughter. Professor Cao, who was then 66, experienced another marvelous change when her facial wrinkles disappeared not long after she started practicing. Her skin became smooth, and her face glowed. Even though her hair turned white, when she was 87 she still looked much the same. Most people get presbyopia as they age, just like Professor Cao did. But after practicing Falun Gong for two months, she could see up close again without glasses. Presbyopia is not a condition that current medicine can cure, but it is not uncommon among Falun Gong practitioners that reading glasses are no longer needed. 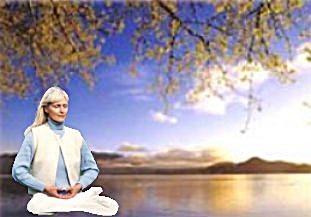 Many practitioners saw their vision improve after practicing Falun Gong. Many with nearsightedness recovered. One practitioner in her 60s starting having presbyopia when she was in her 40s. She had already gone through three pairs of glasses. Her vision became normal soon after she started practicing Falun Gong. Ms. Wang Zhuhong, a retired associate professor at the Electronics and Technology University in Chengdu, Sichuan Province, now lives in Boise, Idaho. She had chronic dysentery, diarrhea, rheumatism, and pain in her liver, spleen, and stomach. She could not sleep well in the winter due to pain in her arm. She took lots of medications for over 20 years. Her husband, He Zhengquan, had schistosomiasis when he was in high school, leading to an inflamed liver and spleen. Part of his liver was removed due to cirrhosis in 1965. His health in general was poor, and life for the couple was hard. Fortunately, Ms. Wang and Mr. He started practicing Falun Gong in May 1996. Mr. He’s liver pain and faintness soon went away. Ms. Wang became healthy, too. They followed Falun Gong’s principles of Truthfulness-Compassion-Forbearance and strove to become better people. They felt life had new meaning. After the Chinese Communist Party initiated its persecution of Falun Gong on July 20, 1999, their home was ransacked twice. Ms. Wang was detained for 13 days and incarcerated in brainwashing sessions for 160 days. In hindsight, she suspects that she was poisoned twice in the brainwashing centre. Pressured by the 610 Office, her husband’s employer fired him. They finally went to visit their daughter in the United States. Although they had to leave home, the couple can now practice Falun Gong without fear for personal safety. Associate Professor Song Chaoxia of Jilin University and her husband Wang Yuejian, a former instructor at the same university, were moved by the profound principles of Falun Gong. They started practicing when they were healthy young graduate students and Falun Gong was very popular in China. Mr. Wang started in April 1996 when he was a graduate student in mathematics at Jilin University. He saw Master Li’s lecture series on video and felt that his lifelong questions were answered. He had a new worldview and felt that he now understood why human beings suffer hardship and why it is important to take fame and self-interest lightly. Ms. Song was a graduate student in biology at Northeast Normal University at the time. Seeing Mr. Wang become more open-minded and considerate after he picked up Falun Gong piqued her curiosity and made her want to learn about it. She talked with students at a group exercise site and learned that Falun Gong teaches people to live by the principles of Truthfulness-Compassion-Forbearance, to look within when facing conflicts, to improve one’s moral standard, and to be selfless. She was impressed that in a world where money and material wealth are all-important, Falun Gong was a pure land. After learning and thinking about it for over a year, she started to practice Falun Gong in July 1997. Seeing the positive changes in the couple, Mr. Wang’s mother and Ms. Song’s mother also learned Falun Gong soon after. Mr. Wang’s mother had asthma and heart disease for many years. Ms. Song’s mother had rheumatoid arthritis and heart disease for years. They both suffered a lot. Not long after they started practicing Falun Gong in 1997, their ailments disappeared, and they became healthy. Falun Gong was first taught to the public in 1992. Nearly 100 million people across China were soon practicing it after experiencing improvements in their health and character. Jiang Zemin, former head of the Chinese Communist Party (CCP), perceived the spiritual discipline’s growing popularity as a threat to the CCP’s atheistic ideology and issued an order to ban Falun Gong on July 20, 1999. Minghui.org has confirmed the deaths of thousands of Falun Gong practitioners in the persecution over the past 18 years; the actual number is suspected to be much higher. More have been imprisoned and tortured for their faith. Evidence shows that the CCP harvests organs from detained practitioners, who are killed in the process, to supply the organ transplant industry. Under Jiang’s personal direction, the CCP established the 610 Office, an extralegal security organisation with the power to override the police and judicial systems and whose sole function is to carry out the persecution of Falun Gong.